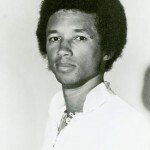 Arthur Ashe was an American tennis player. 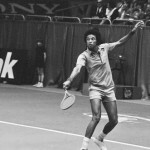 He became the first African American tennis player to achieved considerable success. During his career he had three Grand Slam wins. His career lasted from 1966 to 1980. 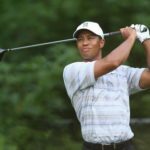 In 1969 he was recognized as the best sportsman of the United States. 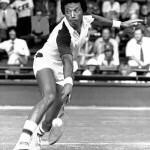 Arthur Robert Ashe, Jr. was born on July 10, 1943 in Richmond, United States. At the age of seven he played tennis for the first time. One day, a teacher noticed Arthur’s ability in tennis. Arthur became an excellent amateur tennis player. 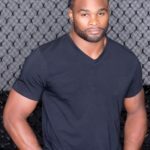 After high school, Arthur went to St. Louis, Missouri, to train with another coach. At the age of 19, he was one of the best young players in the United States. Arthur studied at the University of California in Los Angeles. 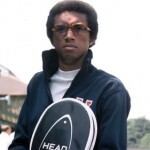 In 1969, Arthur Ashe became professional. Six years later, he won the World Champion Tennis singles title and the Wimbledon singles title. 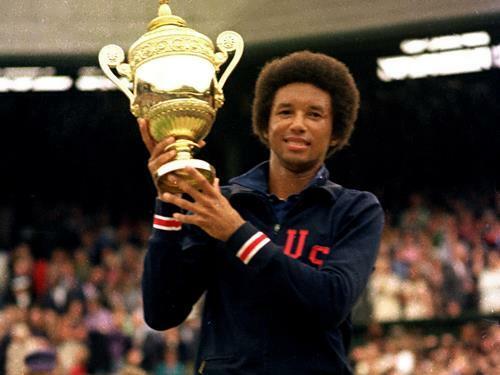 He was the first African American man to win at Wimbledon and the first to be number one in the world. 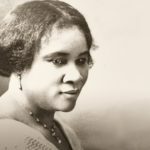 Ashe was married to a photographer, who gave birth to their daughter. 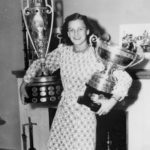 Ashe won the Australian Open in 1970. In 1973, Ashe received the Presidential Medal of Freedom, one of America’s highest honors. In 1975 he won the top prize at Wimbledon. 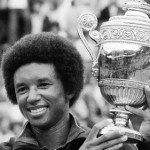 On April 16, 1980, Ashe announced his retirement from competitive tennis. Yet he remained actively involved in the sport. In total he won 33 tournaments and the Davis Cup. 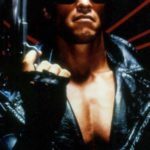 In 1985 he was arrested outside the South African embassy in Washington, DC, while protesting against the country’s institutionalized racism. A few years later he was arrested again, for speaking out against President Bush’s policy regarding the treatment of Haitian refugees with HIV/AIDS. 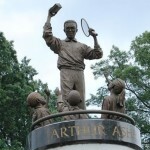 Ashe wrote a three-volume work A Hard Road to Glory: A History of the African-American Athlete, which was published in 1988. 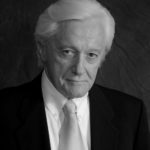 He won an Emmy Award for writing a television docudrama based upon his work. He became rich and famous, but these things never changed his good character. He was fair, honest, and kind both in his life and on the tennis court. He also worked for many charities and always tried to help people. 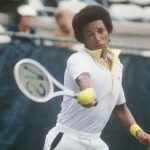 Arthur Ashe died of pneumonia related to AIDS on February 6, 1993 in New York, USA. He got AIDS from blood he received in the hospital. Shortly before he died, he started an organization to help find a cure for AIDS. 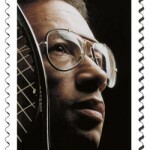 The central court of the US Open was named in honor of Arthur Ashe. This is the most spacious tennis stadium in the world (22547 spectators).